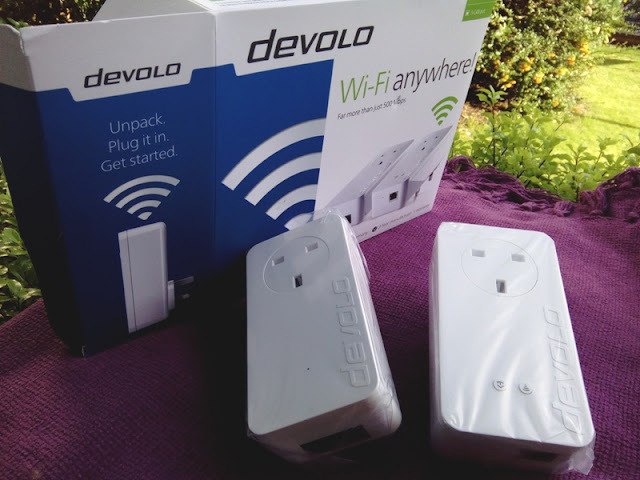 Devolo dLAN Powerline 550+ Wi-Fi Starter Kit Expands Your Home WiFi Network! 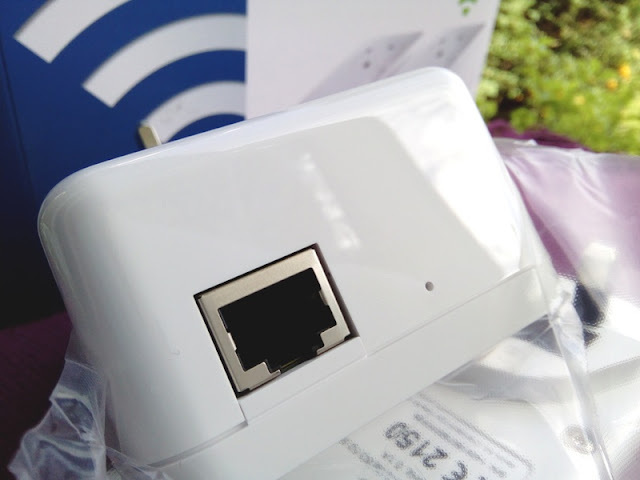 Expanding your WiFi network at home is so easy that anyone can do it even if you don't have any special IT skills. 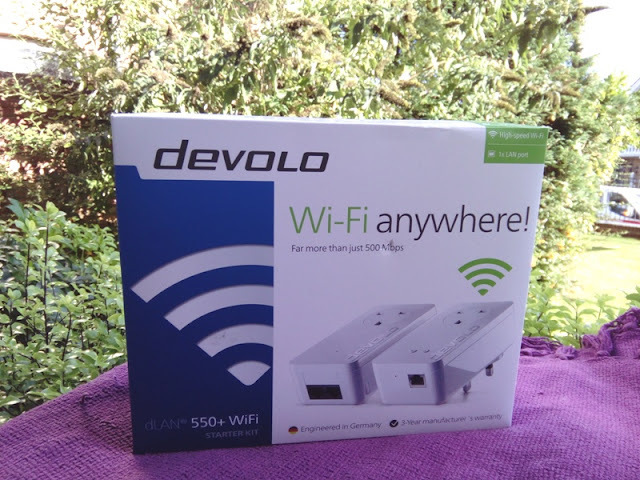 Using the Devolo dLAN 1200+ WiFi AC starter kit or the devolo dLAN 1200 triple+ starter kit you can replace a long 25 meter Ethernet cable running from the router to your desktop computer. It literary takes less than 10 minutes to set the whole thing up and it is well worth it. No more long Ethernet cables and better still, the wireless reception in every corner of my home improved dramatically. 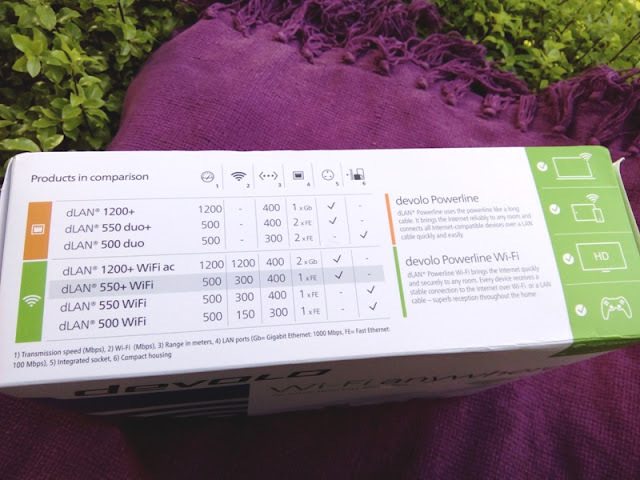 With that said, I'm taking a look at the dLAN Powerline 550+ Wi-Fi Starter Kit which is Devolo's newest and strongest powerline adapter in Devolo’s mid-high range 500 class. The dLAN Powerline 550+ Wi-Fi features "range+ Technology", new faster powerline adapters (speeds of up to 500 Mbps), faster WiFi connection (300 Mbps) and stronger WiFi range (400 metres). The increased WiFi range is thanks to range+ Technology, which takes advantage of all three wires in the electrical mains circuit (live, neutral and earth) so you also get improved WiFi stability. 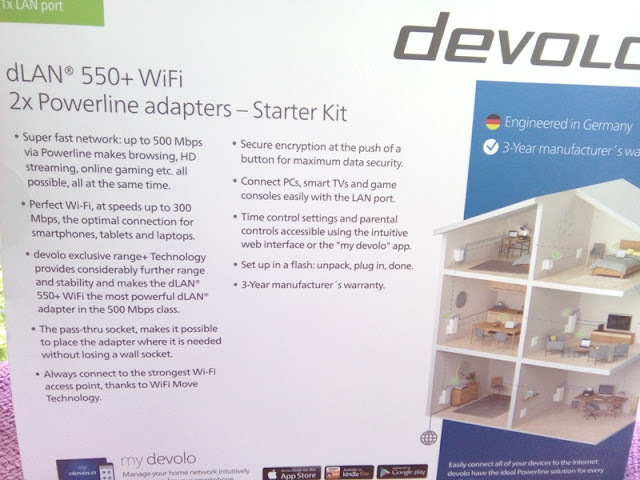 The dLAN Powerline 550+ Wi-Fi also features a WiFi Clone function (so only a single shared network is visible), as well as ‘WiFi Move Technology’ which ensures wireless devices automatically switch from the router to the dLAN adapter if the adapter is providing a stronger WiFi signal. 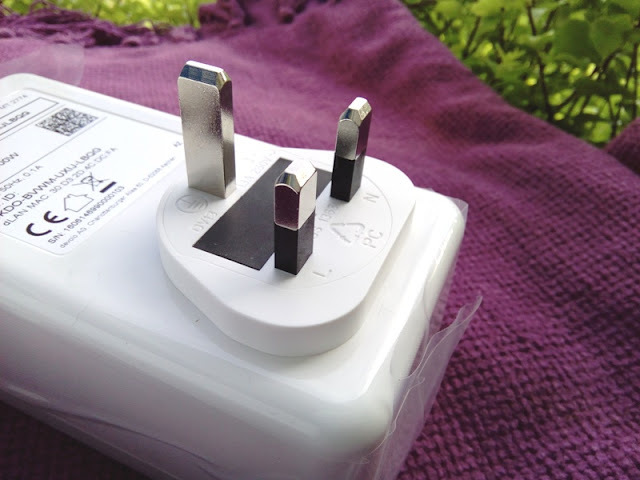 The dLAN 550+ WiFi also includes a pass through plug socket, so you still maintain the ability to use the household socket even when the adapters are plugged in. 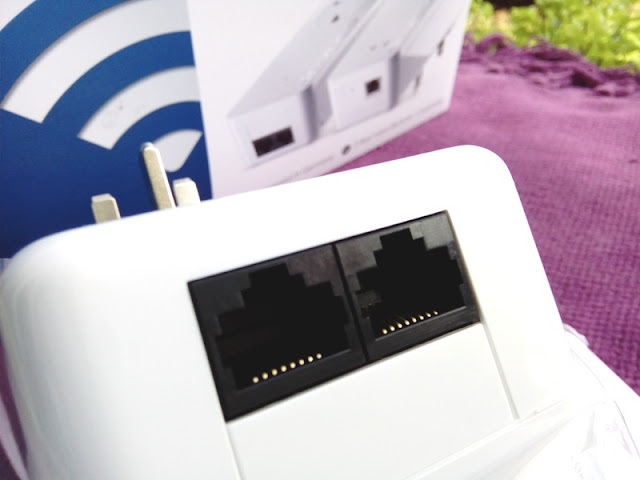 Inside the box you get a powerline adapter for establishing a connection to the router and an adapter with WiFi functionality which can be used at any electrical socket in your home. 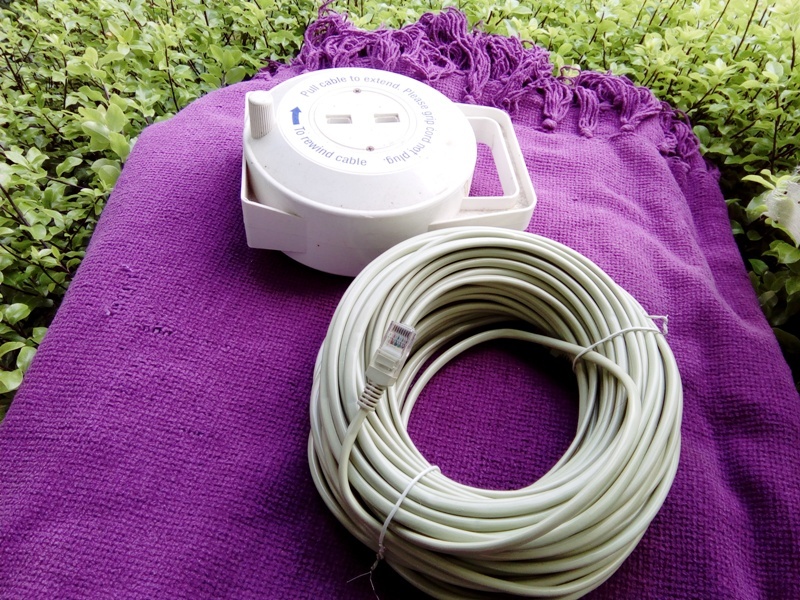 To set up the powerline connection, plug in first the dLAN 500+ adapter into the closest mains socket to your router, and then connect it to your router via the Ethernet cable provided. Make sure you make a note of the WiFi passkeys on the back of the powerline WiFi adapter. Then, plug the dLAN 500+ WiFi adapter into another mains socket and wait until the home button lights up. When the home button lights up press it and wait for a couple of minutes. 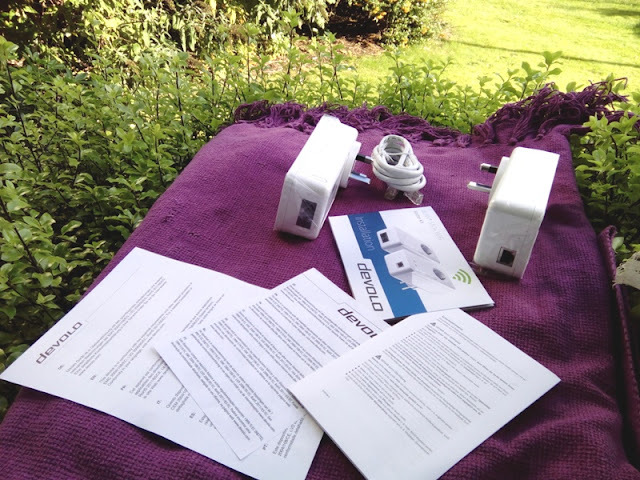 Next, press the button for the data encryption on the side of the dLAN 500+ adapter and set up the WiFi connection on your WiFi device so you can connect to the Internet.